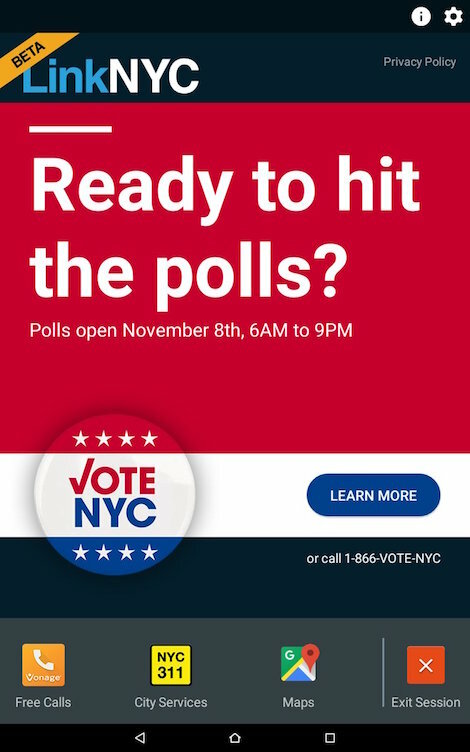 It is US Election Day Tuesday, November 8th, and LinkNYC is making important voter information accessible on the streets of New York. There are over 400 Links live in New York City, find out where here. This entry was posted on Monday, November 7th, 2016 at 16:48 @742 and is filed under Scuttlebut. You can follow any responses to this entry through the RSS 2.0 feed. You can leave a response, or trackback from your own site.